We get a lot of questions about how to care for and clean wool rugs. With so many home rug cleaning products on the market and blogs on cleaning tips, we wanted to help you understand your best options. So today, we thought we’d discuss some of these questions and talk about how we professionally clean your wool rug! Can You Use a Carpet Cleaner on a Wool Rug? Unfortunately, a lot of “off-the-shelf” carpet cleaning products contain alkaline products like ammonia. You should never use ammonia or any other highly alkaline carpet cleaner on a wool rug as it can cause damage. Home cleaning for rugs is really not recommended as wool fibres absorb more water than synthetic fibres. As a result, you will never be able to completely dry out your rug at home which can lead to a musty smell and, worse, mould or dry rot. Can You Use a Rug Doctor on a Wool Rug? Rug Doctor machines are incredibly popular. You can hire them or buy even buy on outright from shops like Bunnings. They are sold as “Professional carpet deep cleaning at your finger tips”. However, they are not suited for natural fibre rugs and carpet, including wool, silk, sisal or jute. Further, they should not be used on hardwood or laminate surfaces. It is not possible to properly extract the water used by the Rug Doctor which, again, can lead to mould and rot. Can I Use Scotchguard on Wool Rugs? Scotchguard or Scotchgard is an aggressive chemical mix and is better suited to clothing and furniture. It is acceptable to use on synthetic fibres but not on natural fibres like wool. It is better to guard against stains by having them seen to by a professional as soon as possible. Can You Steam Clean a Wool Rug? There are some professional steam cleaning services that can help you with rug cleaning however we do not recommend trying to steam clean your rug in your own home. Home steam cleaning can cause significant indoor air qualities in your home, as well as odour issues (we’ve all experienced the awful smell when our favourite woollen coat gets wet! ), and can reduce the life of your carpet. Soil left trapped in your rug is abrasive and will wear down the carpet fibres. This is why it is important to go to a professional. How Much Does It Cost to Clean a Wool Rug? Prices vary between different professional rug cleaners. At Woods, our rug cleaning prices start at $28.00 per square metre. How Do I Care For a Wool Rug? Clients often want to know how they can keep their rugs clean after a professional rug wash. Here are our top 5 tips for keeping your rug tidy between visits. 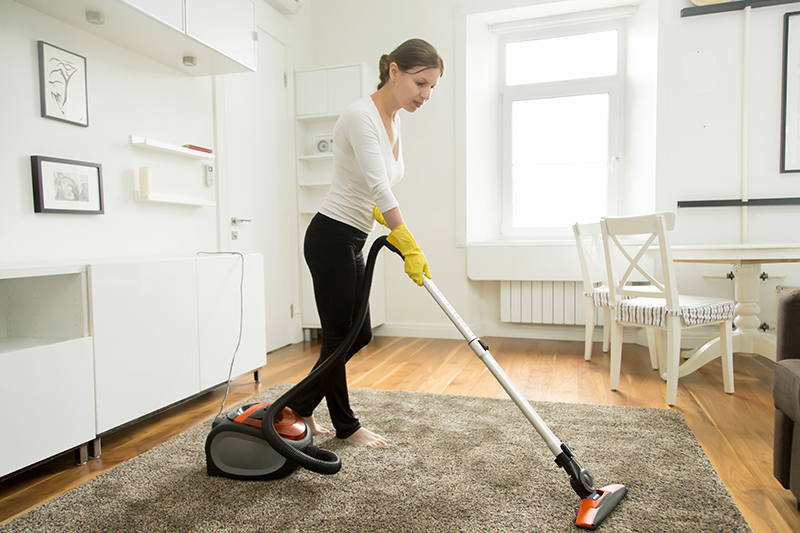 While it might look like regular vacuuming is keeping our rugs in top shape, clients are often shocked to see just how much dirt we get out when they bring it for cleaning. This is because the way a wool rug is woven, creates a scale pattern that, in turn, creates pockets in the rug. These pockets can hold an incredible amount of dirt without the rug appearing dirty. Professional cleaners maintain the quality of your rug by removing this dirt before it begins to wear down your rug. 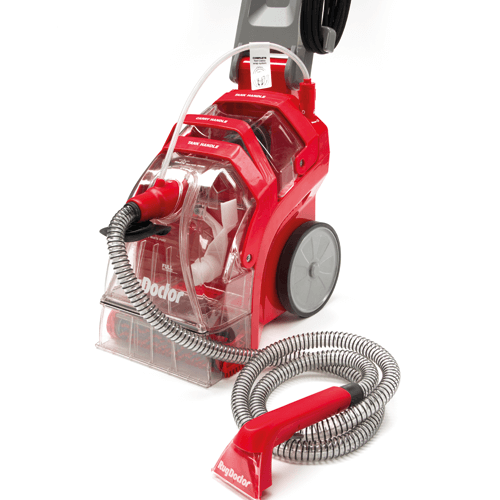 Our process then carefully but effectively cleans the rug to remove dirt, allergens and stains (where possible). 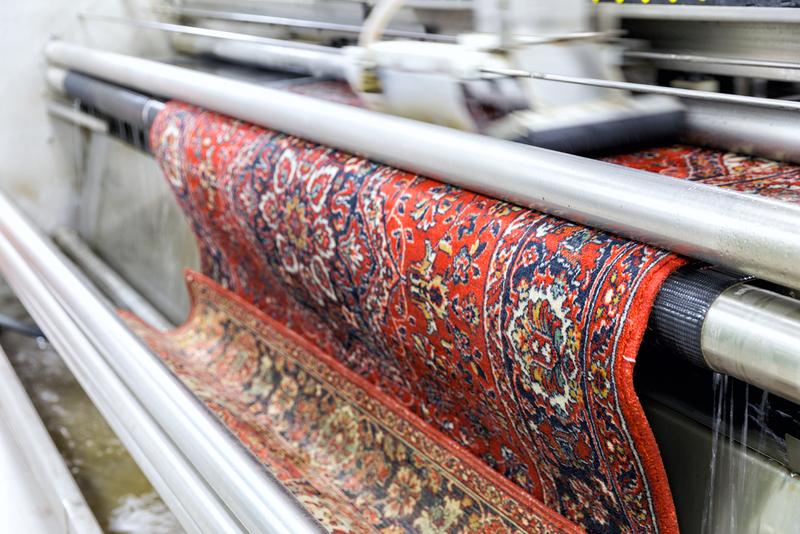 Rugs are then checked if they need further cleaning before they are carefully dried. Specialised drying rooms are designed to ensure your rug is fully cleaned, with no remaining water, to guard against rot and mould. While many home rug cleaning systems and chemicals claim to clean rugs as well as a professional. However, unacceptable levels of moisture and/or chemicals remain in the rug – even if it appears to be dry. At best this results in an almost permanent “wet dog” smell throughout your home. At worst, water and/or chemical residue can continue to damage your rug, causing dye to blled, mould ot for or the rug to rot. My Rug Doesn’t Look Dirty! It Doesn’t Need Cleaning! As we discussed before, woollen rugs are woven in a way that forms scales. These scales create pockets that can store kilograms of dirt before the rug even begins to look dirt. Further, this dirt can cause issues with allergens and allergies as well as decreasing the indoor air quality. Rugs that are not properly cleaned can pose a health risk for your family. Home brand stain protectors honestly can’t protect your rugs as well as they claim. At best, these protectors only provide a small amount of stain protection for your rug – far less than what they claim. At worst, they can cause further damage to your rugs. Stains need to be seen by professionals to avoid dye bleed or fibre damage. If you need your rug professionally cleaned or if you need a stain assessed for removal, contact Woods today! How Do You Clean An Oriental Rug?